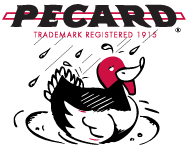 Thank you for your interest in becoming a Dealer of Pecard Leather Care. Carrying our products means providing your customers with the upmost quality you can offer. To request a Dealer account, please fill out this form for our records. If you can supply us with a tax ID number in the notes it would speed along processing your account. Otherwise we will need you to fax a copy of your resale permit. After your account has been set up you will receive a welcome email with a login and password along with a Dealer Price List and a Dealer Catalog. For your first order we ask that you make a purchase of $150.00 and pay with a credit card to establish credit. After that, you can make smaller orders. If you have any questions, feel free to call us at 1-800-467-5056. We look forward to doing business with you. Additional comments to send along with your request.